A fine linen tea towel in Faux’s iconic Hong Kong Toile repeat pattern designed by Mariko Jesse. Size: 48 x 70cm. 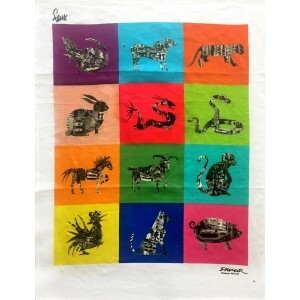 This beautiful artist designed linen Tea Towels are highly absorbent and make the perfect gifts for family and friends. The unique toile design, classic yet contemporary is timeless in every way and are a perfect addition to your home décor. Exquisitely packaged, the toile series make for perfect gifts such as weddings and birthday presents. They are also great for festive celebrations such as Christmas, New Year and dinner parties. Available in classic blue and white and red and white. 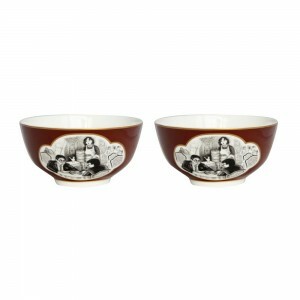 A set of two bowl with same design. These beautiful artist designed fine bone china Noodle Bowls will add so much style to your table setting. The unique toile design, classic yet contemporary is timeless in every way and these elegant ceramics are a perfect addition to your home décor. Exquisitely packaged, the toile series make for perfect gifts such as weddings and birthday presents. They are also great for festive celebrations such as Christmas, New Year and dinner parties. Available in classic blue and white china exportware and red and white. 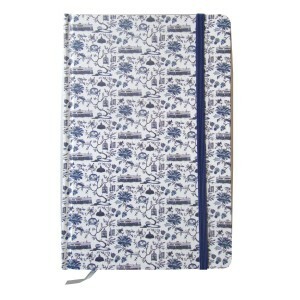 A Hong Kong Toile notebook designed by Mariko Jesse - Hardback with 100 leaves of plain paper with silver edge. A gift box set of 6 red 7-inch fine bone china side plates in Faux’s iconic Hong Kong Toile repeat pattern designed by Mariko Jesse. Each plate features a different icon: egg tart, a bag, a dim sum, a mahjong the star ferry and a birdcage. These beautiful artist designed boxed set of 6 fine bone china 7” inch side plates sporting 6 iconic icons will add so much style to your table setting. The unique toile design, classic yet contemporary is timeless in every way and these elegant ceramics are a perfect addition to your home décor. They can also be used as cake plates, starter plates. Exquisitely packaged, the toile series make for perfect gifts such as weddings and birthday presents. They are also great for festive celebrations such as Christmas, New Year and dinner parties.. Available in classic blue and white china exportware and red and white. Set of 4 Handmade Cut Glass Cobalt Coloured TumblersDesign: Star Rising Cobalt This exquisite set of 4 handmade cut glassware in cobalt Star Rising design, are the perfect adornment to your table decoration. The Old Fashioned glass or rock glass is a short tumbler used for serving tan spirits, such as whisky, with ice cubes. It is often used to serve cocktails, such as the Old Fashioned, from which it receives its name. A gift box set of 6 blue 10.5-inch fine bone china side plates in Faux’s iconic London Toile repeat pattern designed by Mariko Jesse. Each plate features a different icon: a cabbie, a crown, a telephone box, a bobby, high tea and a bus. 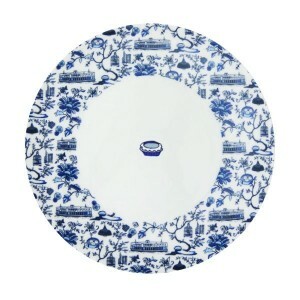 These beautiful artist designed fine bone china 10.5” inch dinner plates will add so much style to your table setting. The unique toile design, classic yet contemporary is timeless in every way and these elegant ceramics are a perfect addition to your home décor. Exquisitely packaged, the toile series make for perfect gifts such as weddings and birthday presents. They are also great for festive celebrations such as Christmas, New Year and dinner parties. Available in classic blue and white. 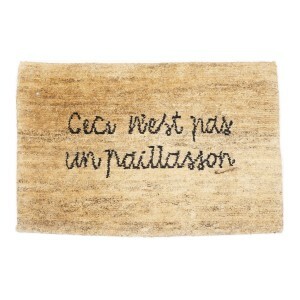 Doormat - "Ceci n'est pas un paillasson "
Fine bone china cereal bowl box set for 2 in chocolate designed by Louise Soloway Chan. The designs features characters and illustrations taken from the artists installed artworks in Sai Ying Pun MTR based on the districts street life. - Each additional bowl at HK$190 per piece. A set of 6 fine linen red tea towels in Faux’s iconic Hong Kong Toile repeat pattern designed by Mariko Jesse. Size: 48 x 70 cm This beautiful artist designed linen Tea Towels are highly absorbent and make the perfect gifts for family and friends. The unique toile design, classic yet contemporary is timeless in every way and are a perfect addition to your home décor. Exquisitely packaged, the toile series make for perfect gifts such as weddings and birthday presents. They are also great for festive celebrations such as Christmas, New Year and dinner parties. Available in classic blue and white and red and white. Set of 4 Handmade Cut Glass Cobalt Coloured TumblersDesign: x 2 Fern Cobalt x 2 Monogram Garnet This exquisite assortment of 4 handmade cut glassware: 2 in cobalt Fern design and 2 in garnet Monogram design are the perfect adornment to your table decoration. The Old Fashioned glass or rock glass is a short tumbler used for serving tan spirits, such as whisky, with ice cubes. It is also normally used to serve cocktails, such as the Old Fashioned, from which it receives its name. Classic yet contemporary, these unique tumblers will add so much style to your table decoration and home décor. Great for gifting such as weddings, anniversaries and birthday presents as well as festive celebrations such as Christmas, New Year and dinner parties. The Hong Kong Toile repeat pattern centres on a floral design by Mariko Jesse. This beautiful artist designed fine bone china Sugar Bowl will add so much style to your table setting. The unique toile design, classic yet contemporary is timeless in every way and these elegant ceramics are a perfect addition to your home décor. Exquisitely packaged, the toile series make for perfect gifts such as weddings and birthday presents. They are also great for festive celebrations such as Christmas, New Year and dinner parties. Available in classic china exportware blue and white and red and white. 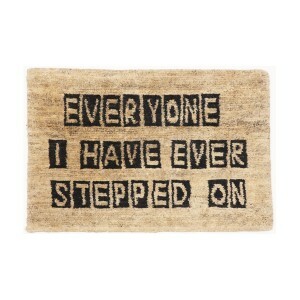 Hand-woven in Nepal with organic hemp and nettle fibres in the foothills of Nepal, these highly durable doormats have been designed exclusively by Faux. Set of 4 Handmade Cut Glass Cobalt Coloured TumblersDesign: Fern Cobalt This exquisite set of 4 handmade cut glassware in cobalt Fern design is the perfect adornment to your table decoration. The Old Fashioned glass or rock glass is a short tumbler used for serving tan spirits, such as whisky, with ice cubes. It is also normally used to serve cocktails, such as the Old Fashioned, from which it receives its name. Classic yet contemporary, these unique tumblers will add so much style to your table decoration and home décor. Great for gifting such as weddings, anniversaries and birthday presents as well as festive celebrations such as Christmas, New Year and dinner parties. A fine linen tea towel in Faux’s iconic Hong Kong Toile repeat pattern designed by Mariko Jesse. Size: 48 x 70cm This beautiful artist designed linen Tea Towels are highly absorbent and make the perfect gifts for family and friends. The unique toile design, classic yet contemporary is timeless in every way and are a perfect addition to your home décor. Exquisitely packaged, the toile series make for perfect gifts such as weddings and birthday presents. They are also great for festive celebrations such as Christmas, New Year and dinner parties. Available in classic blue and white and red and white. A gift box set of 6 blue 7-inch fine bone china side plates in Faux’s iconic Hong Kong Toile repeat pattern designed by Mariko Jesse. Each plate features a different icon: egg tart, a bag, a dim sum, a mahjong the iconic star ferry and a birdcage. These beautiful artist designed boxed set of 6 fine bone china 7” inch side plates sporting 6 iconic icons will add so much style to your table setting. The unique toile design, classic yet contemporary is timeless in every way and these elegant ceramics are a perfect addition to your home décor. They can also be used as cake plates, starter plates. Exquisitely packaged, the toile series make for perfect gifts such as weddings and birthday presents. They are also great for festive celebrations such as Christmas, New Year and dinner parties.. Available in classic blue and white china exportware and red and white. Fine bone china cake plate box set of 6 in chocolate designed by Louise Soloway Chan. The designs features characters and illustrations taken from the artists installed artworks in Sai Ying Pun MTR based on the districts street life. 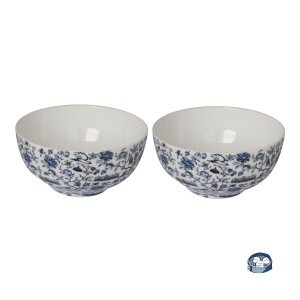 - Each additional bowl at HK$190 per piece .